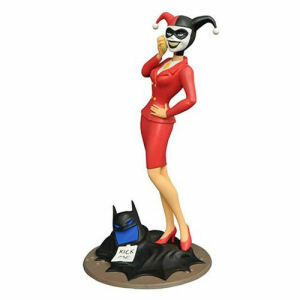 We have Just Sold out of Batman The Animated Series Lawyer Harley Quinn 9 Inch Gallery Statue. Not to Worry! Fill in the Notify me When Available and you will be the first in line for our restock of Batman The Animated Series Lawyer Harley Quinn 9 Inch Gallery Statue !! From the Batman The Animated Series collection by Diamond Select. Batman The Animated Series Lawyer Harley Quinn 9 Inch Gallery Statue. This 9 inch tall PVC statue comes packaged in a full-color window box.